92.1 FM KATK... Carlsbad loves this country. By that, we mean that Carlsbad looks to 92.1 FM for a great blend of country music. We add news, weather and local information to make this truly a local station. 92.1 FM is Carlsbad's "hometown country station" and we're darn proud of it. 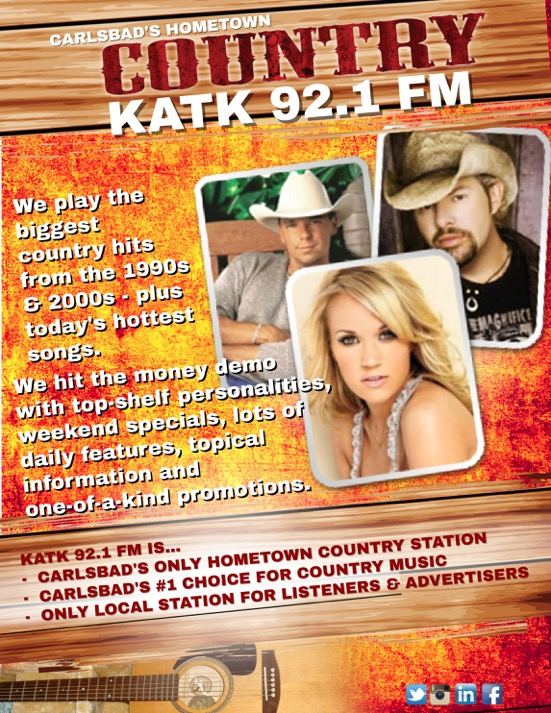 92.1 FM is Carlsbad's overwhelming choice for country music... by the listeners... and by the advertisers. ©2019 Carlsbad Radio - All Rights Reserved.